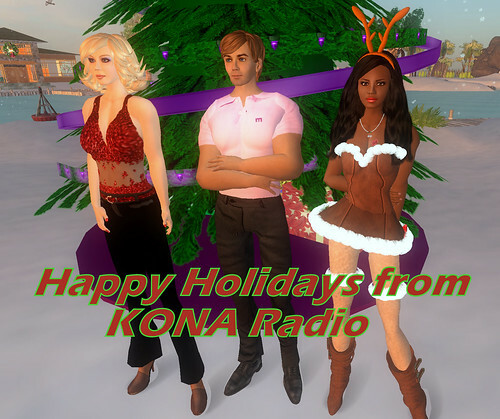 KONA Radio will be participating at the Second Life 7th Birthday festivities this summer. The theme this year is “Unexpected Collaborations” and our exhibit will highlight some of the people who we’ve collaborated with the past 3 years. We will have a few live events planned to include a Motown night hosted by GoSpeed Racer and other themes. Real Life will keep us busy for most of the upcoming week but expect us be around early evenings and on the weekends. The doors open Monday the 21st at 10AM SLT. If you’re exploring on foot just look for a tall radio tower with a flashing red light on top. KONA Radio in the news! Comments Off on KONA Radio in the news! A while back I was interviewd for VR Style Magazine June 2009 Issue. The issue is now out and can be found here http://issuu.com/slvibe/docs/vrstyle-june09 . The interview can be found on page 142-145. All in all a pretty nice article. Maybe a bit brief but I’ll take the publicity where I can. 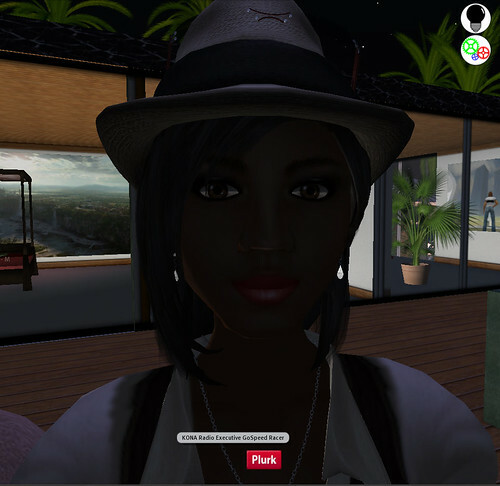 In the interview I stressed on how I tried to stay in touch with the SL community through DJ gigs, SL based sponsorships, promoting our “hometown artist” and sharing the music where I can. I recall as a youth hearing community radio stations that interacted with the locals. That is increasingly becoming a rarity nowadays. DJs and sales staff are being whacked left and right in favor of canned and syndicated programming. Those old fashioned mom and pop radio stations do exist. The other day I was exploring the great plains in Google Map and stumbled across a wiki link for Rugby, North Dakota, the geographic center of the North American continent. Seems they have their own radio station. Visit this link KZZJ and explore the site a bit and you’ll get the picture on how radio used to be. 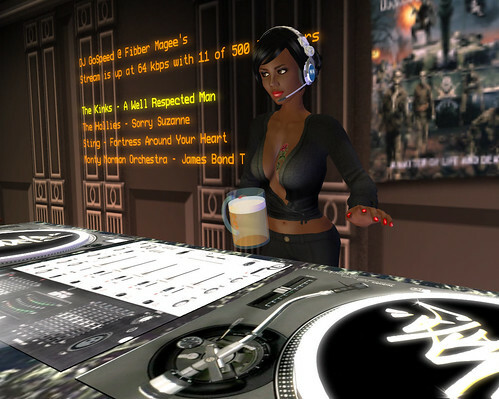 Tonight I’ll be DJing at the Barn in Nantucket from 4-6pm SLT for their Valentines Day Extravaganza. Expect only the best in fine, romantic music. Tonight’s event is is sponsored by three of SLNE’s businesses ; TenderLove, SHaFT Estates, & HappyHearts Singles Dating Service. All three will be raffling off select items from their offerings. Other prizes will be awarded throughout the evening as well. 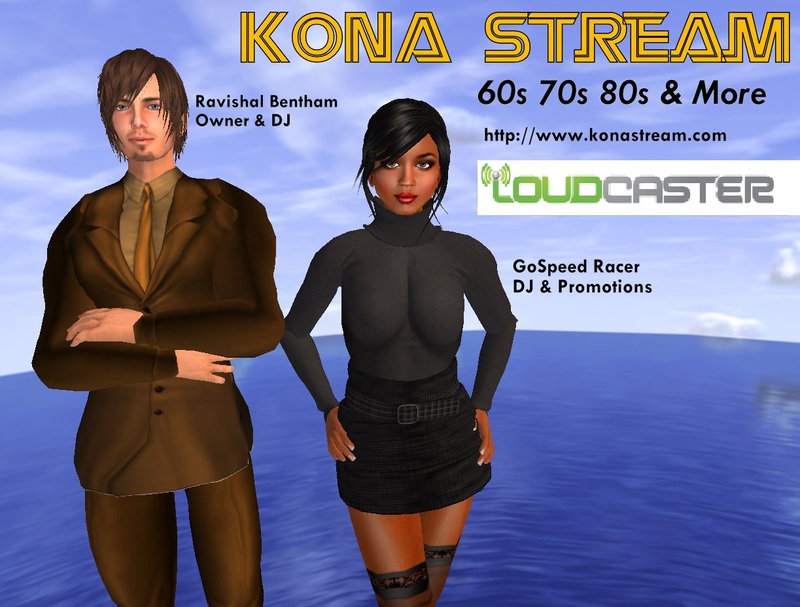 The talented GoSpeed Racer will be commanding the KONA stream for her weekly gig from 1-3pm SLT at Fibber Magees in the Dublin 3 sim. She’s taking the opposite direction and playing some “anti-Valentine” tunes. So if you’re not in the mood for mush, be sure to go to her gig instead. Tonight is GoSpeed’s normal gig at the Clocktower in Edloe. There is a chance neither of us can make it, BUT, the show will go on and Christmas tunes will play during that time. If you can’t be in world or at a place that carries KONA Radio then you can tune in the music at http://www.konastream.com , or you can go to iTunes and look for KONA Radio in the Golden Oldies section. Ahoy there! 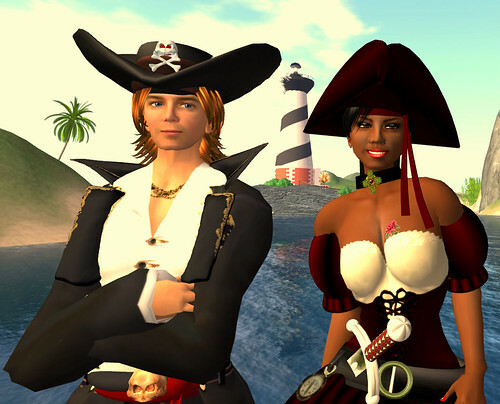 Tomorrow from 2-6pm SLT, and maybe even later, there will be a pirate party in Nowhereville. Don your favorite pirate costume and join us all in sunny, sandy Nowhereville. There will be contest for the best for best Pirate costumes and other fun events and hijinks! If you lack pirate gear we have a vendor with a wide selection of clothes and gadgets for you to buy. Here’s a handy SLURL that will drop you next to it and the main stage. Remember to behave yourself or GoSpeed will hit you with a chair!